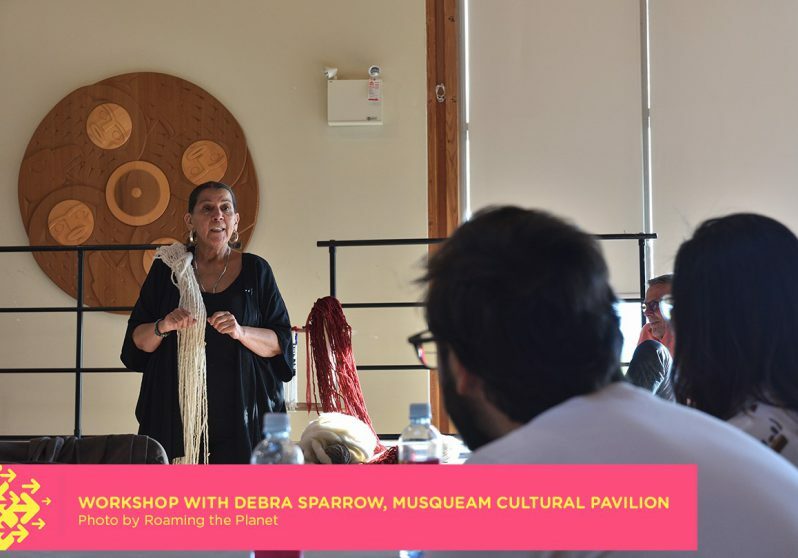 Weaving Cultural Identities engages artists from diverse cultural backgrounds to work with Muslim and First Nations groups to reconcile lost heritage, share, learn and celebrate cultural knowledge, symbolism and self-identification through textile traditions. Ten textile artists of different disciplines and backgrounds are paired with graphic designers of various cultural descents. 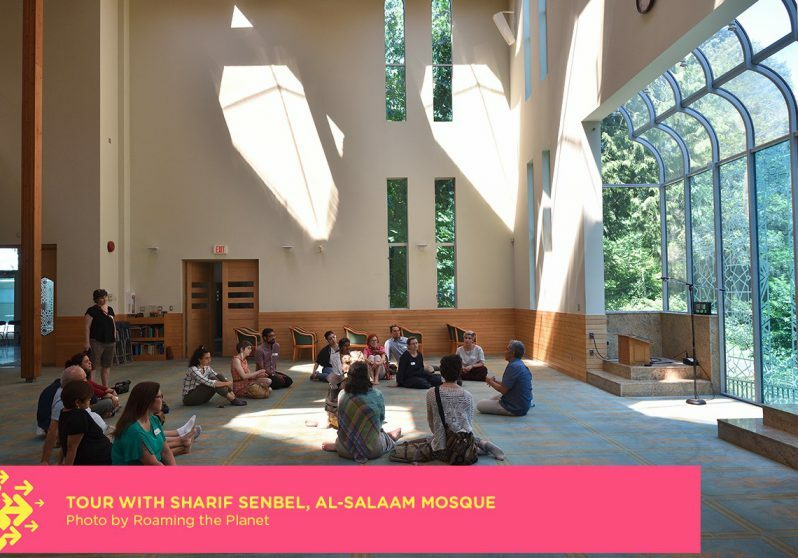 Together, they collaborate based on their own experiences and histories to create a series of works that celebrates the rich significance of textile arts (both in a sacred and historic sense) through the inspirational art and conceptualization of prayer rugs and weaving/textile traditions. 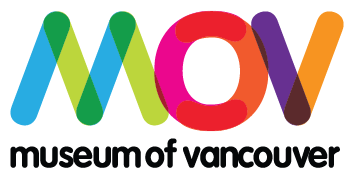 As artists expand on the concept of spiritual textiles and prayer rugs, this also becomes an exploration of the multiple narratives of Vancouver, developed through the storytelling of diverse multicultural perspectives. 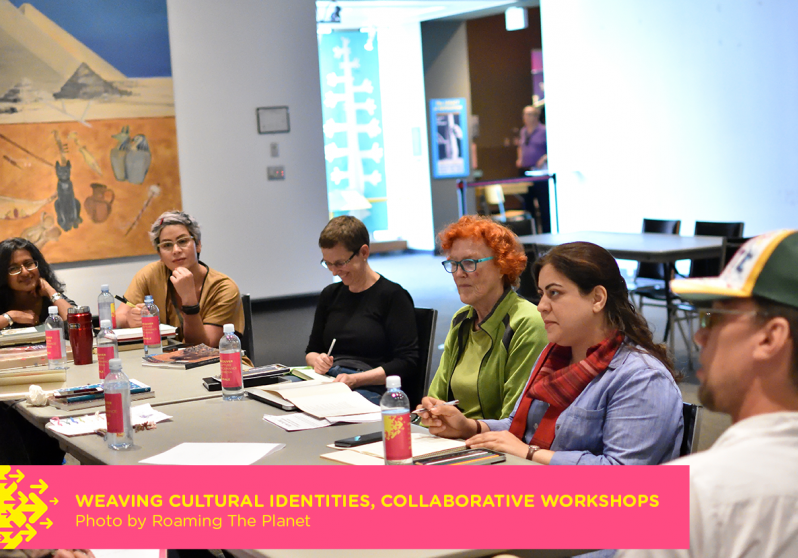 Together, these artists develop a platform and process for community dialogue through arts-based approachable discussions around uncomfortable issues of belonging, forcible displacement, diaspora, assimilation, and how we may honor land presently shared by several groups. 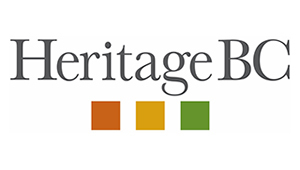 For more information about the project and featured artists, visit the artwork page here.